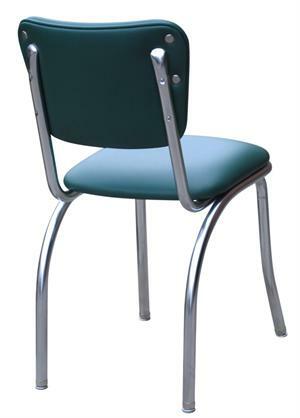 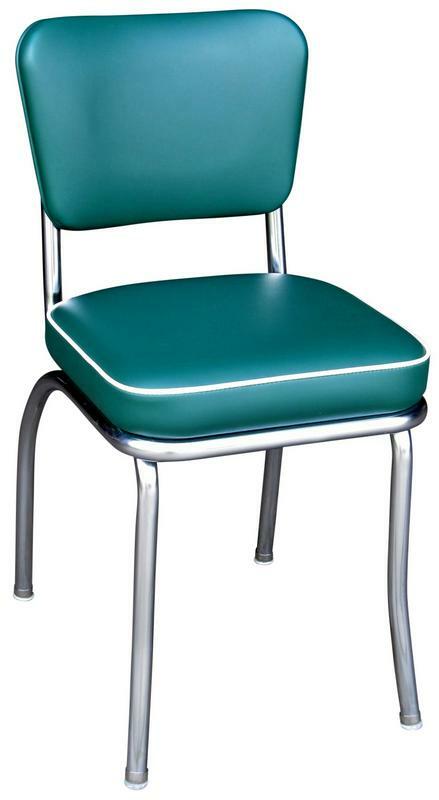 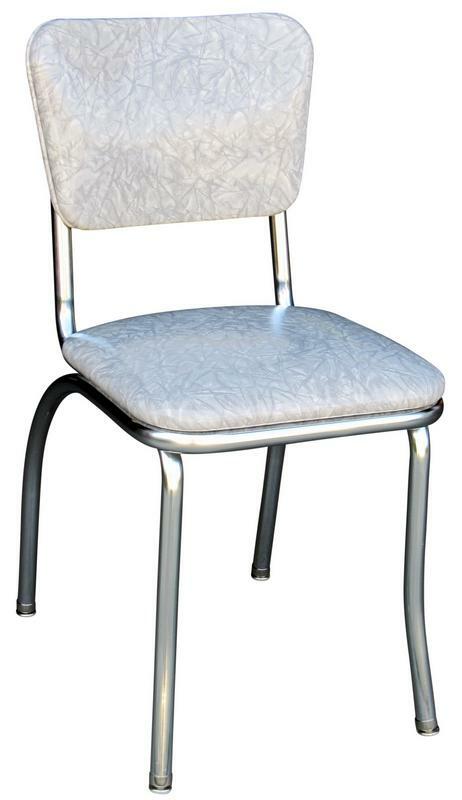 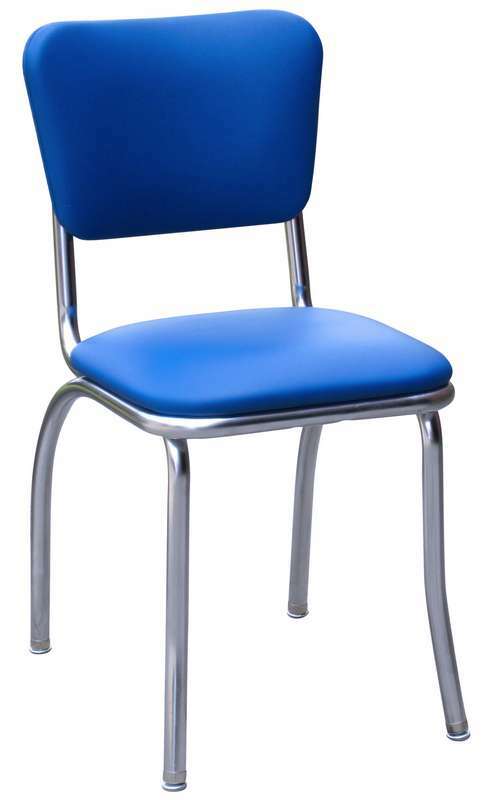 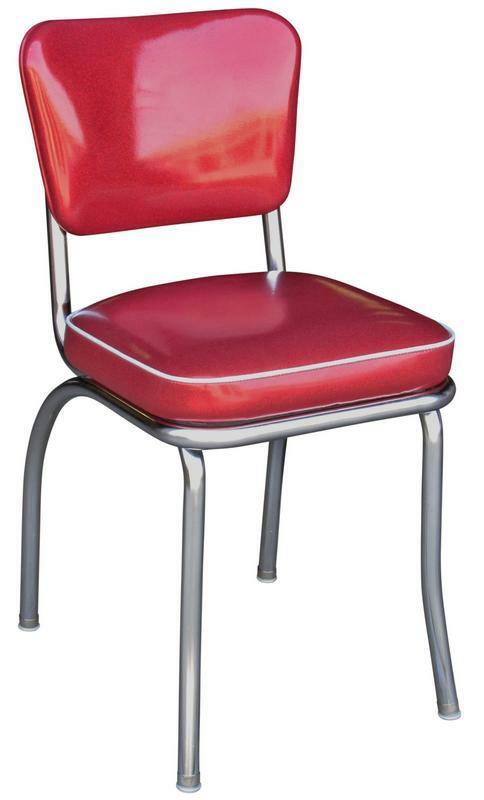 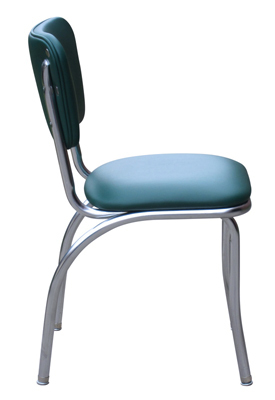 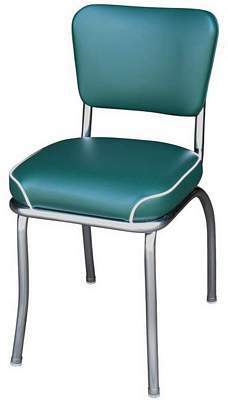 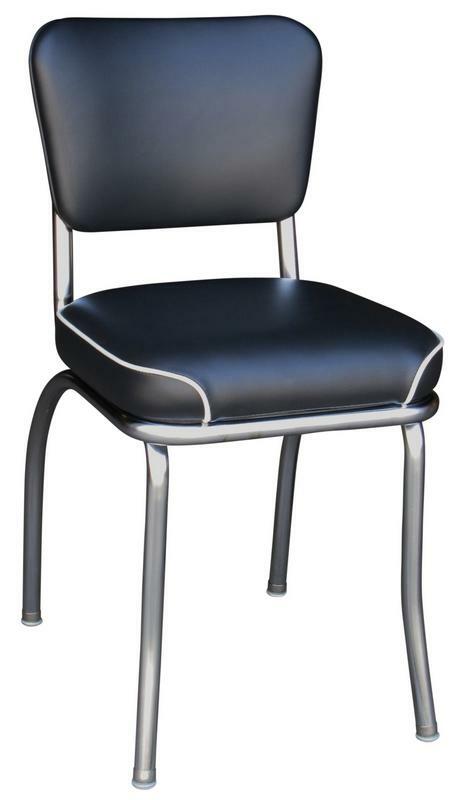 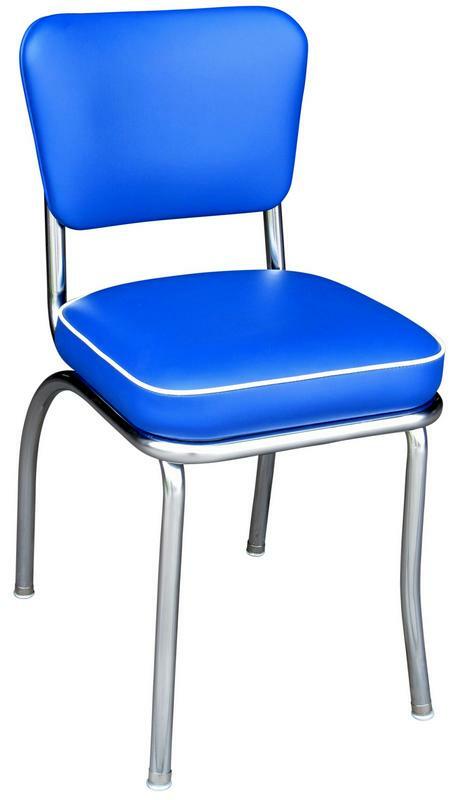 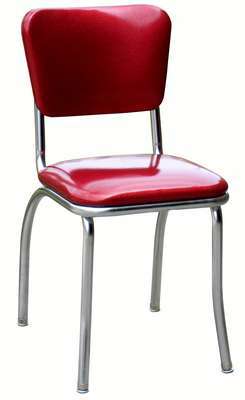 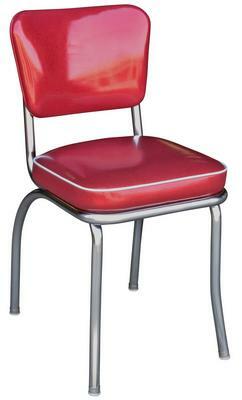 The 4110 - 4210 diner chairs are our most affordable diner chair series. 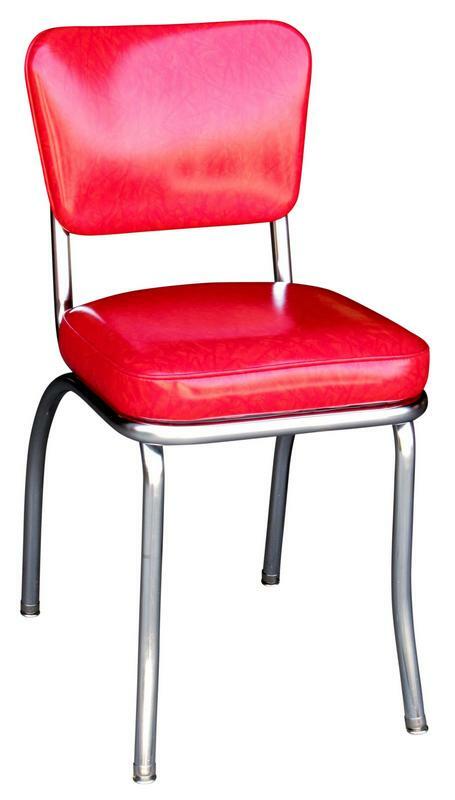 Classic retro commercial-grade diner chair fits any restaurant or cafe. 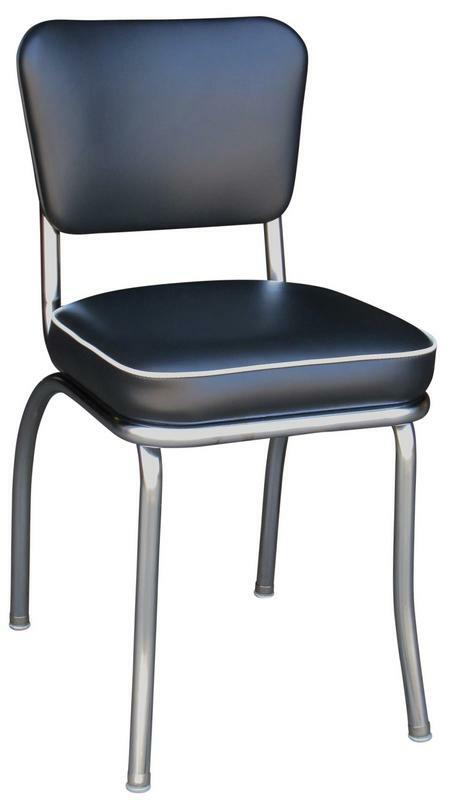 The 4110 features a 1" pulled seat. 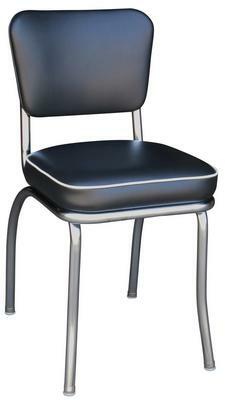 The 4210 features a 2" box seat or a 2" waterfall seat. Features heavy, welded 14 gauge thick steel frame in chrome finish. 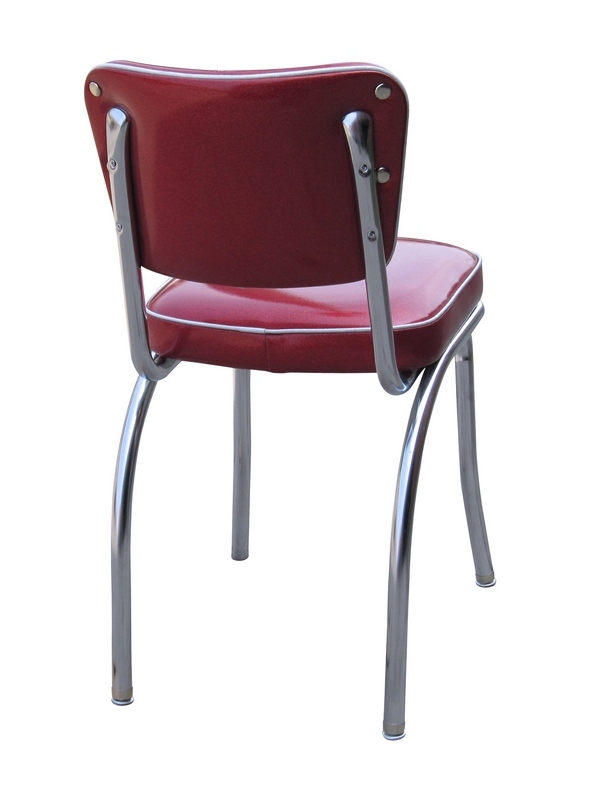 Upholstered seat and back are made of fiberboard, plywood, vinyl and foam. Refer to vinyl Grade links below to customize vinyl upholstery fabric. Fully Assembled - no assembly required. Seat Dimension: 15" x 15"